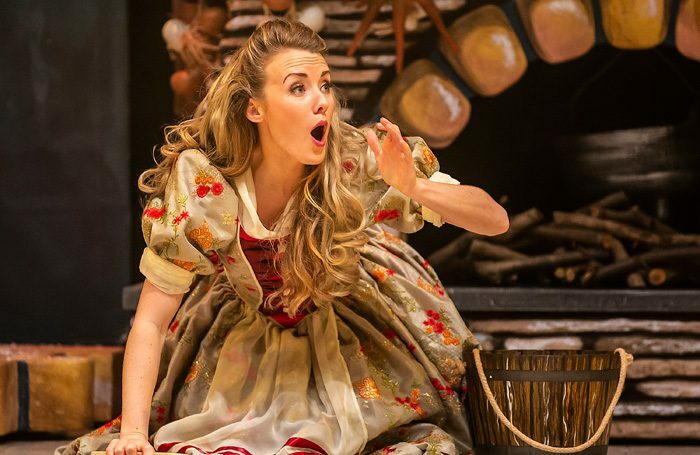 Finding the tricky balance between spectacle and sincerity, the Marlowe Theatre’s Cinderella is a finely-tuned fairytale. Written and directed by Paul Hendy, it’s unswervingly traditional, loaded with all the usual skits and catchphrases you’d expect, but acknowledging contemporary sensibilities with a few jokey tweaks. Early on, the script takes time to articulate the message that Cinders, being a modern woman, doesn’t need anyone to look after her after all. In the title role, Cara Dudgeon is all wholesome enthusiasm and cheerful determination, but belts out her songs with a tremendous, powerful voice. Heading a solid ensemble, experienced dames Lloyd Hollett and Ben Roddy work the crowd skilfully as lying, bullying stepsisters Melania and Donaldina. Sally Lindsay makes a likeably flawed, low-key drunk Fairy, while BAFTA nominated children’s entertainer Phil Gallagher brings heart and a rare bittersweet note to his role as friend-zoned footman Buttons. Lush sets by Michelle Marden present pleasant picture book backdrops doused in glitter, with seamless changes transforming the space at impressive speed. A few well judged gimmicks add to the charm, with live ponies, a soap sud snowfall, and an intervention from a gigantic hand of god all providing fleeting but memorable moments.